I had gone back and forth on whether or not to pick this toy up. I had all of the other Shogun Warrior ST figures, so I thought I should eventually get it, but I was in no rush. 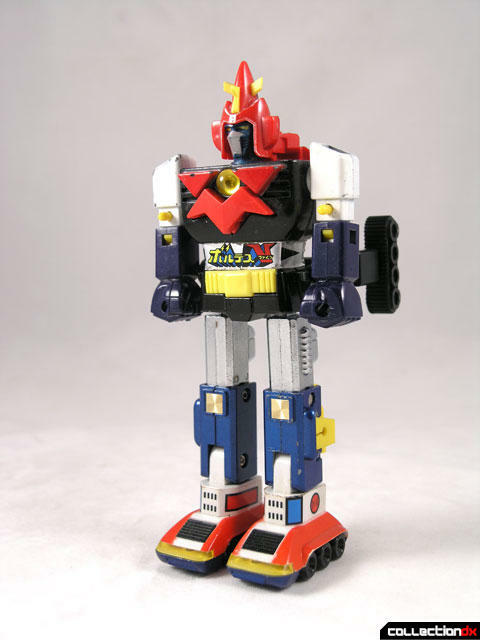 To me Voltes was never as cool as Combattler. However a deal came about with a partial trade and I figured I would go for it. It wasn’t a Shogun Warrior box, and it wasn’t in the best of condition, but the price was right. (Thanks Sanjeev). 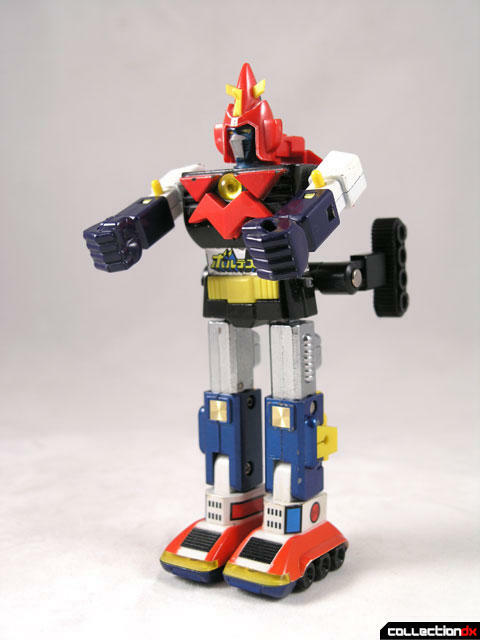 Voltes V (Pronounced Voltes FIVE) was the second part of Tadao Magahama’s Romance Trilogy. See our other Voltes V Reviews for more background info on the show. The Chogokin GA-80 Voltes V ST (超合金 ボルテスＶ) is a really nice toy. 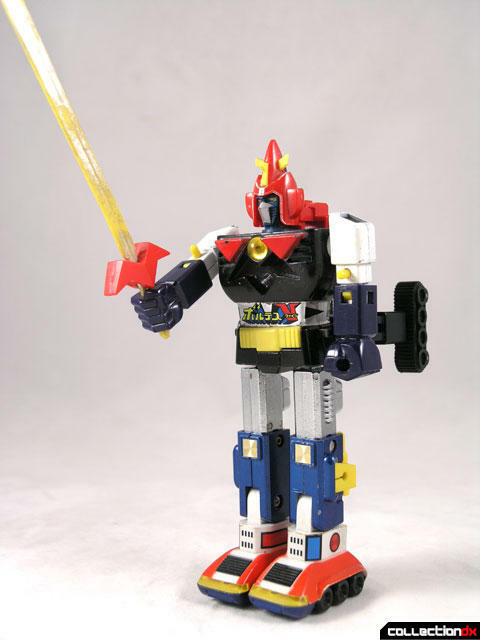 It features firing fists, Firing head, and a removable chest part that becomes the hilt for the sword. The swords can be held in either hand and use the red chest section as the hilt. The Swords have a tendency to tarnish really easily. 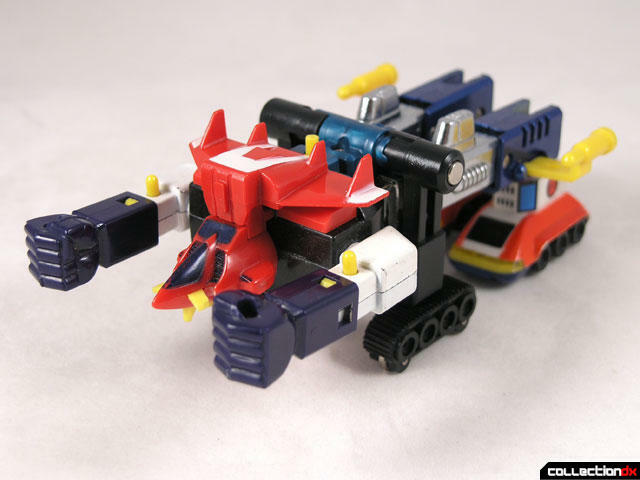 Voltes V can also transform into Battlewagon mode in the same fashion as Combattler V. With Voltes, you have to pull the rear wheel assemblies out to the sides, rotate them down, and then push them in. The plastic here tends to get worn and loose so be careful. 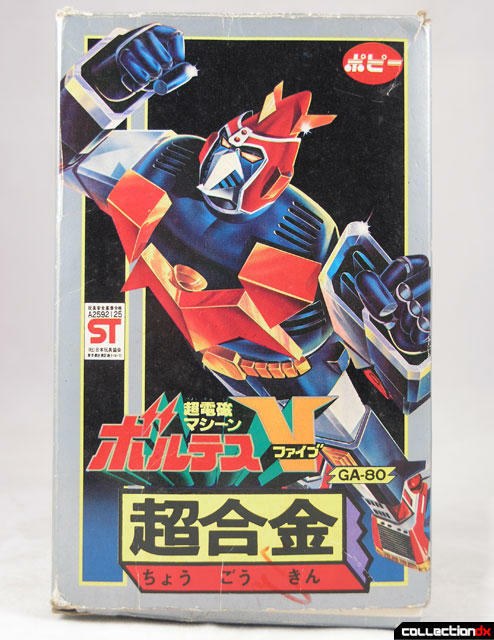 The packaging features a painting of Voltes V instead of a photo of the toy. 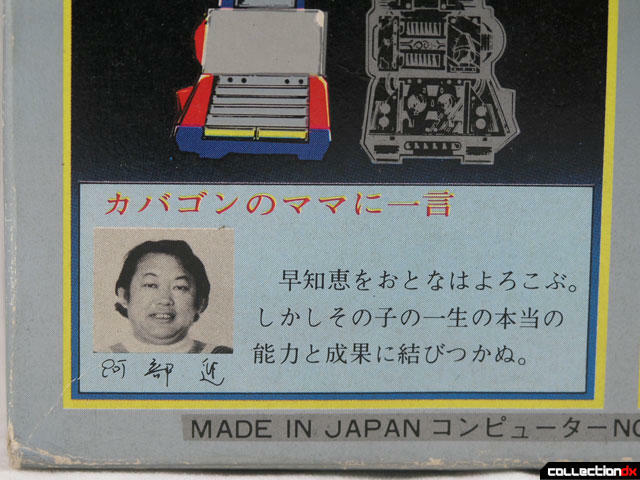 Towards the end of the GA series, Popy had moved away from photos of Jumbo Machines and Prototypes and began using character artwork on the boxes. Another thing you might notice is the smiling mug of a jolly Japanese fellow on the box. That’s Susumu Abe (阿部進), a famous Japanese educational commentator. Born in 1930 (and still alive) Susumu Abe had a weekly serialized column in Shonen Jump Magazine in the 70s. From there he took his advice for children and by agreement with Popy (a heavy sponsor of Shonen Jump) and placed small nuggets of wisdom on the back of Chogokin Boxes.